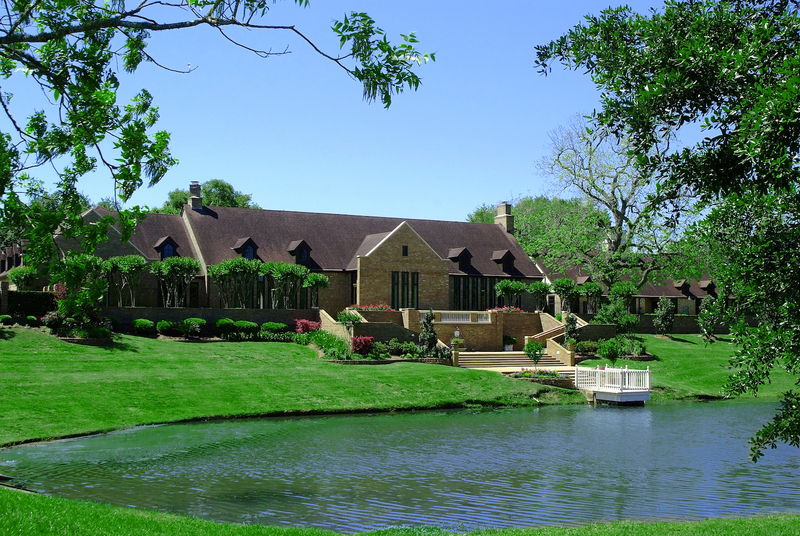 Our club features an 18-hole championship golf course designed by legendary PGA Tour Champion Hale Irwin. The fully appointed golf pro shop, practice facilities and locker rooms are available to members and our staff of professionals are trained to anticipate your every need and to provide the highest quality of service that members expect at an exclusive country club. It is the mission of the Weston Lakes Fitness Center staff to provide the community of Weston Lakes with outstanding service, a variety of methods and programs to encourage you along your path of improving your general health, and support you in your journey towards achieving your fitness goals. Our facility is well equipped for any fitness level with beautiful views overlooking the Hole #1 fairway. Equipment ranges from cardio equipment, top of the line strength training machines, and free weights from 3 lbs. to 75 lbs. Newly renovated in 2013, the Waterside Grill is the perfect place to dine out without having to leave the neighborhood! The Club’s main dining room is elegantly appointed, but offers a casual, welcoming feel. Lunch and dinner service is offered year round. The outdoor patio is also a popular place to relax and enjoy our happy hour specials or outdoor member events. The Grill offers a variety of menu selections ranging from our delicious Waterside Burger to a juicy ribeye steak. In addition to our lunch and dinner menus, you are sure to enjoy one of our nightly specials created by our Executive Chef who has been with the club for over 15 years, Gonzalo Martinez. If you are looking to entertain for any small occasion, our Wine Room is the perfect private dining area. Attached to the Waterside Grill and booked by reservation, this dining area can accommodate up to 24 guests and availability s based on a food & beverage minimum depending on the day of the week. The club offers dining and catering options for all casual or special occasions. Whether you are looking for a casual meal at the club or to book a special event, the staff at Weston Lakes is trained to anticipate your every need and to provide the highest quality of service that you not only expect, but also deserve. Our tennis facility offers two lighted courts allowing our members to play at their leisure. 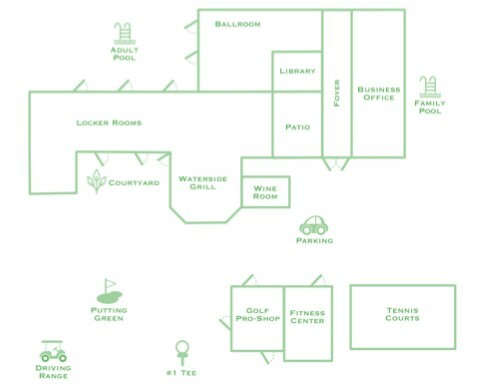 Conveniently located next to the fitness center, court time reservations can be reserved through the golf pro shop during golf shop hours. Imagine your family relaxing during the warm summer days at our Jr. Olympic size pool featuring six lanes. The pool is a traditional design accompanied by a smaller pool for younger children. The family pool is staffed with lifeguards and offers a snack bar to members. The pool is open during summer months from Memorial Day to Labor Day. You are sure to relax in this secluded pool open to members age 18 years or older. No lifeguards are on duty. The pool can be accessed through the locker rooms for convenience. Members enjoy direct access the Waterside Grill for an appetizer or refreshments by the pool. Tuesday – Friday 12 p.m. – 8 p.m.
Tuesday – Saturday 7 a.m. – 8 p.m.
To schedule a tour of the club contact our Membership Director, Jennifer Miles, at 281-346-1967.